Whenever, Apple releases new iOS version for public we often hears that some users are facing issues with battery drainage on their devices. Same thing happened with iOS 7 launch. A group of users has claimed they are facing battery drain issue on their iOS 7 running devices after updating it to latest features. Battery drain issues on iOS devices are not new, and that is not because of the faulty software or hardware update. It is because the implementation of new features, and settings with every new release of iOS update. iOS 7 battery drain issues also causing due to several new features. Apple introduced iOS 7 with plenty of major changes to iOS core, and things get totally changed from the previous iOS 6 or 5 firmware version on iPhone or iPad devices. It founds out that iOS 7 battery drain issue can be easily debugged, and discovered. In order to super-charge iOS users experience, Apple included numerous new features and enhancements that are causing such battery drain issues for users. 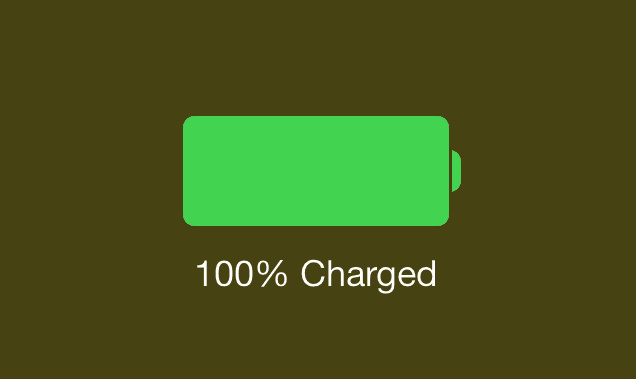 There are several things that can be excessively using your iOS 7 running device battery. Several new things can be responsible for iOS 7 battery drainage issue for you, therefore; it is said to disable those that are not in use or useless for you. We have a long list of applications, and services that can be aggressively using you battery power on iOS 7 devices. Using Dynamic Wallpaper – Disable It! 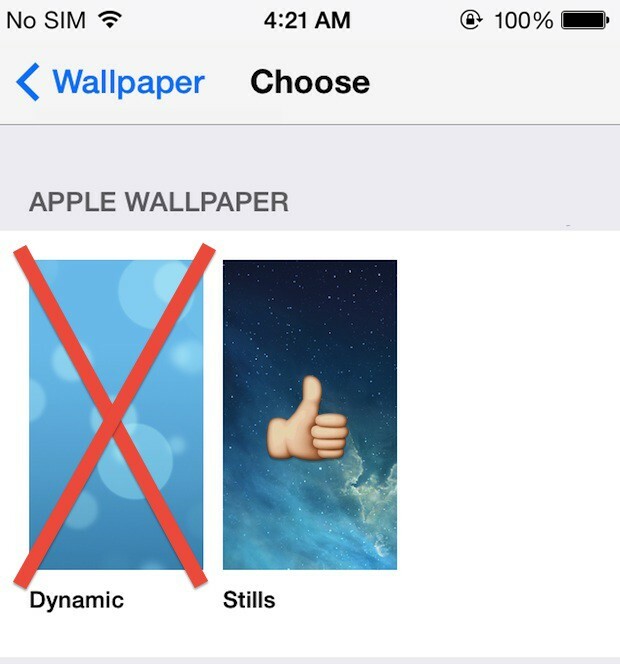 In iOS 7, Apple has introduced Dynamic wallpapers aka Live wallpapers for iOS devices. Many of you must be using any dynamic wallpaper on your device. Settings > Wallpapers & Brightness > Choose Wallpaper > Stills > Pick Any Still. If you are using a dynamic wallpaper, and conscious too about the battery drain issue, then turn it off to get better battery timings. The motion effects of iOS 7 surely looking amazing on your device to you, but in reality they are eating up the battery performance for you. 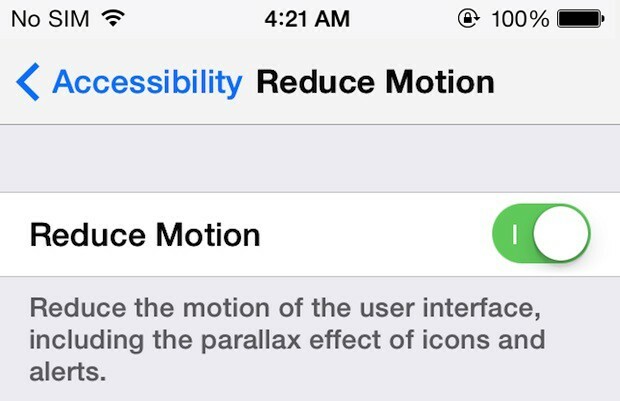 You can reduce motion effects on your device to fix iOS 7 battery drain issue. With iOS 7, Apple introduced Background application data fetch feature, which allowed several applications to get up to date while running in the background. Referring to a new feature that enables Weather and several other applications to fetch latest information silently in the background. 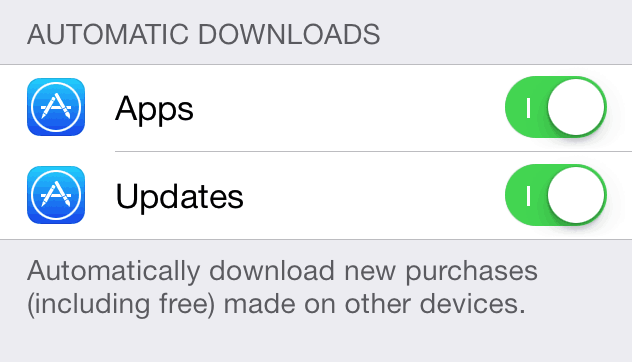 Not every application has an update with latest iOS 7 features, and fixes. 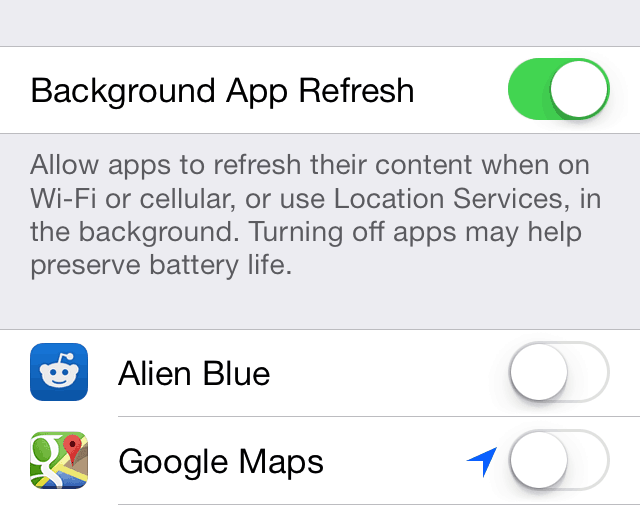 There are chances that some of your application must be causing battery drain issue while staying in the background. At last, but not least, Automatic application update service can cause battery drain issue on your device. 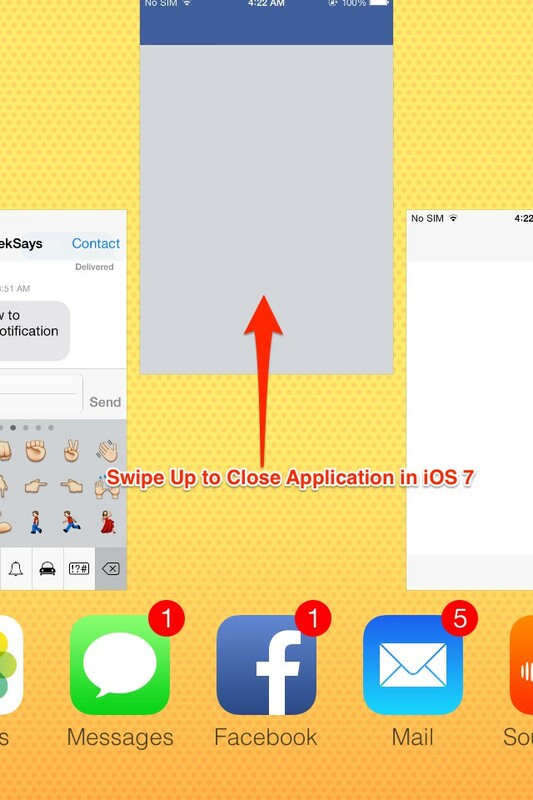 We know this is one of the very best features Apple rolled out this fall for iOS 7 users. You can disable Automatic Application update feature in Settings application to fix battery drain issue on iOS 7. There are several other ways to reduce battery drain on iOS 7 running devices, but at the end of story, you will start getting bored on your device. Therefore, don’t disable every other thing on your device.